Bus will leave Plano East at 5:00 AM! DO NOT BE LATE OR YOU WILL NOT RUN! 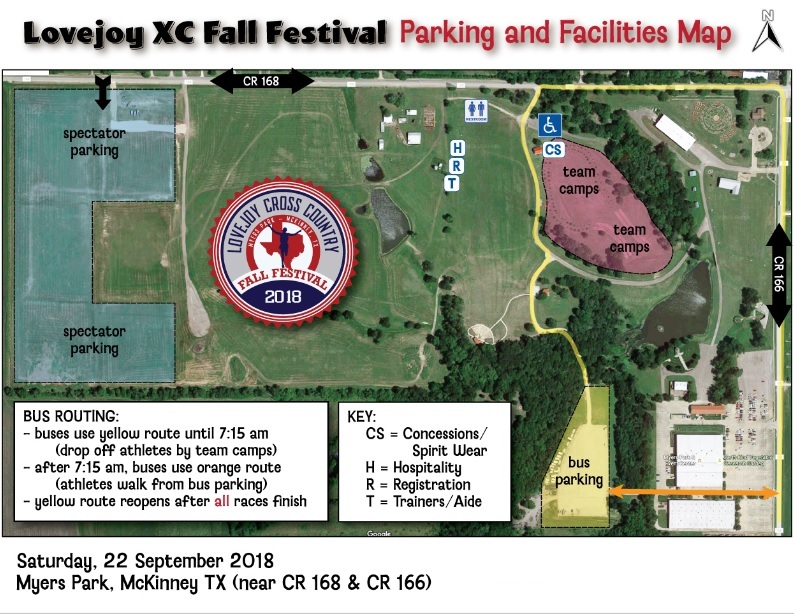 This is one of the largest races in the state and is on the same course that we will use for district. Get mentally prepared and ready to compete! From Lake Forest Drive please instruct your parents and fans to proceed to FM 1461 and turn right onto CR 165. From 165 turn right on CR 168. Spectator parking will be at the top of the hill on the west side of the park. By doing this we will alleviate the congestion for the buses. Signs will be present to direct traffic. NO PARKING ALONG THE ROADWAY! Police will be present to make sure this does not happen.